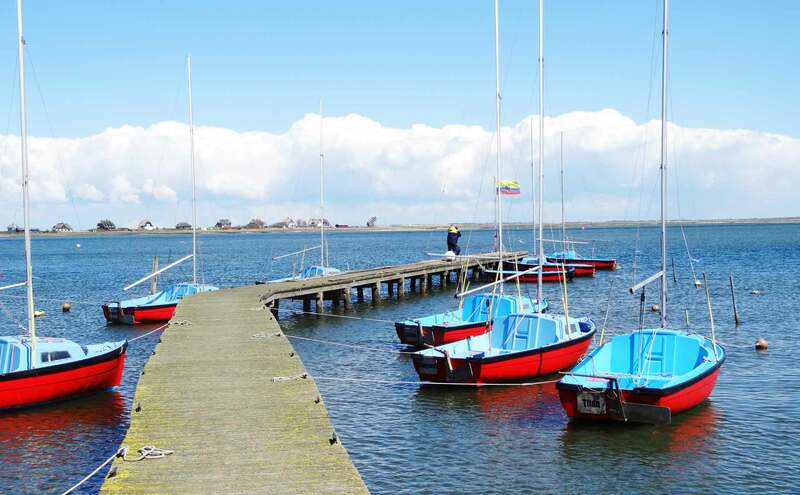 Tack – Gybe – Tack – Gybe – Tack – Gybe … Man Over Board! So, that have been some very interesting three weeks – I´ve completed my first practical course in sailing school and I am filled completely with joy and satisfaction. Not only did the course prove to be as exciting as I hoped it to be but I can say with confidence: Yes, I did learn how to sail. Properly. Training consisted of three sessions in classroom for sailing theory, each session lasting some 3 hours; and two full weekends of practical sailing with some 6 hours each day. 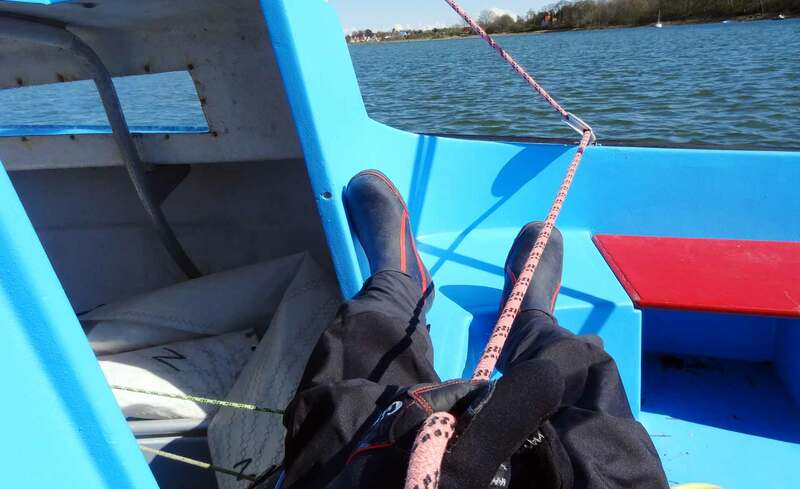 Here you might read about my first sailing-weekend. So in the end, my basic sailing class has brought me some 9 hours theoretical education and 24 hours of sailing. Sounds somewhat sparse? Well, believe me, for most of you rookies starting their yachtmaster´s careers it will perfectly do. To help you newcomers I´m presenting my top 10 basic hints for sailing newbies. 1. Casting off? Keep sharp Lookout! On your second day your skipper teacher might send you for practicing casting off and landing alongside a pier. On your own. Whilst the maneuver is as easy as ABC (most of the times) as you will be sailing on a smaller yawl-sized vessel. If winds gets too strong you will probably switch to storm sails (which is what we did) and things will improve. But don´t be fooled: Casting off poses some traps for the newbie. Whatever you do, always have a sharp lookout to the rear sector of your ship when casting off! Your skipper teacher will insist you do so and you will certainly impress the examiner during exam-day. 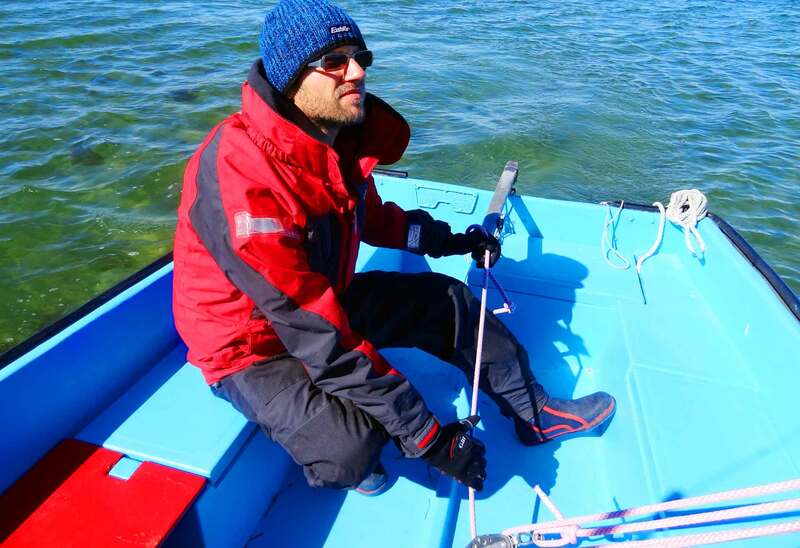 Show a good seamanship and act as a highly responsible skipper-in-being. No, really: Always keep lookout, try to get this into flesh and blood since most of the yacht accidents in marinas are due to irresponsible casting offs. 2. Confused? Head for a Destination. This struck my mind all day long when observing the other class mates: They get easily confused when the skipper tells them to do something: “Steer new course broad reach!”, “Head for close-hauled point of sail!” or “Bear away to a broad reach.” Well, all these new phrases, port, starboard, luffing, heading up and all the knots, sheets and halyards … sailing is really learning a complete new language. But learning a language takes time so when sailing your first miles you will probably get confused. Here´s my hint: Always head for a destination. 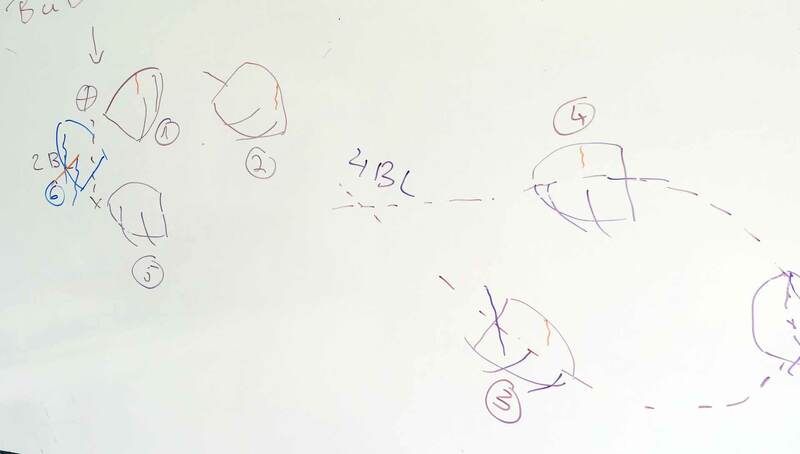 When the skipper tells you to “luff” of “bear away”, have a quick look to the shore and take an estimated bearing – dead ahead or abeam for example – and then estimate the a new bearing in the direction you will have to go. 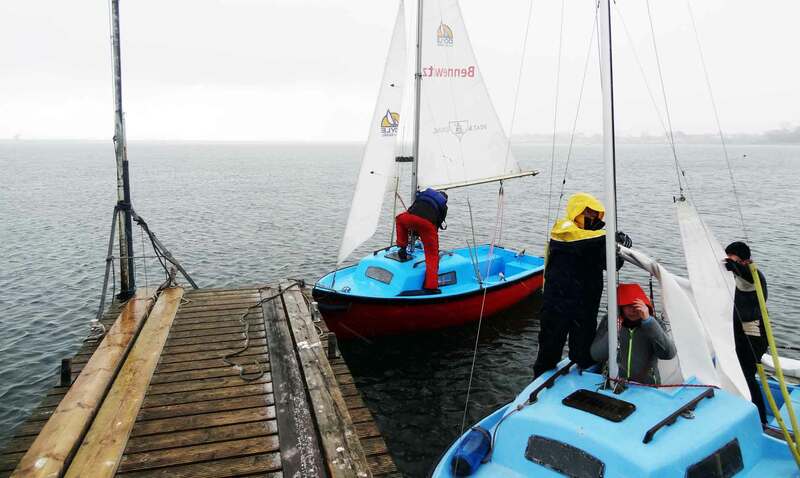 Learning how to sail in a icecold hailstorm. I just loved it! As that destination – or bearing – can act anything: A house, a tree, a big church, antenna or windmill. Because: If you have a direction, a certain destination to aim the ship´s bow onto everything becomes easier instantly. An otherwise empty word is suddenly filled with a cause and by helming the boat towards the new heading you get the head free of those mind blowing confusing riddles of new words and concentrate on feeling the boat instead. 3. Gust? Veer the sheets! Don´t touch the rudder. Man, isn´t that the one thing why we head out to the seas? To feel the ultimate power of nature, the waves and the winds? Gusts can be observed in advance – when waves are relatively gentle – by a ripply surface, mostly of a darker color than the surrounding areas, but most of the times will attack the sails like out of nothing. Ambush of the winds. From what I could observe it have always been the gusts causing havoc amongst the newbies. Why? Because instantly, when the gust falls in, we tend to hold on. Keep tight. Cramp. Well, that´s totally wrong. By holding tight and keeping the mainsheet close you won´t ease pressure from the sails. It will get worse. Heeling of the ship increases – panic with it – even more pressure – more heeling – more horror. A vicious circle. In a gust there´s only one thing of immediate relief: Ease the mainsheet, veer it. Don´t change course. No, really, that´s – mostly – everything you´ll have to do: Keep your course and just veer the mainsheet. Anyway, when the pressure of the gusty winds gets too strong even for that, luff and put the ship in irons. But that´s a maneuver for an ultimate and last action. So, again: Hold your course and just veer the main sheet. 4. Keep calm … always. Which brings us to another big thing. Crew attitude and atmosphere aboard. When sailing for the first time, possibly with another fellow newbie and without your skipper-teacher, a slightly gusty wind and now that´s the first ever own ship under your command … that can be all too much for the inexperienced yachtmaster-in-being. You are perplexed, a bit stressed, maybe you feel a pressure to show your best abilities, get a certain maneuver executed neat and perfect. That can cause a high level of stress. So, in any way: Keep calm! Remember: You´re not paid to succeed – you pay them to have fun. So just put away all that pressure. My hint: When luffing – just do gentle pushes on the rudder. When bearing away, a bit more, but in any case: Avoid full rudder positions. Because it makes your boat turn fast, provoking a need to perform everything else even faster: Changing seating positions, bringing the main boom around when gybing and stuff like that. Full rudder tends to result in fever and bustle. That´s no good. Just a gentle push on the rudder, smooth, long and unhurried response from the boat will give you time to have done the rest in a neat and clean way – including giving the right commands – properly and in the right fashion. Again? Act gently on the rudder. 5. Acting as Bowman? Show initiative. I was so excited all the time whilst sailing out there that I wanted to steer, helm the rudder and be in charge of our 4.70 meter French built Menhir yawl as long as I could. But on the first weekend – as we have been 4 pupils – we manned just one craft. So, time at the helm was limited to just 4 or 5 times with some 10 minutes each, the rest was learning by watching the others. 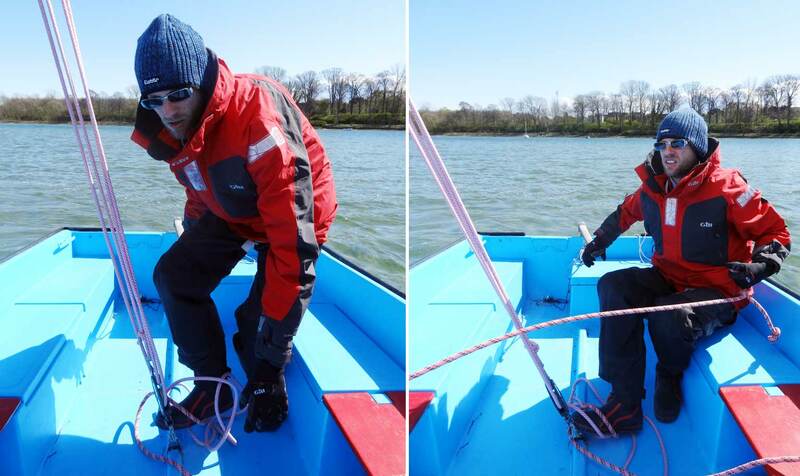 But whilst not helming, two of us had to act as bowmen, each handling one of the fore sheets. Sounds boring? No, it really isn´t! On the second weekend I was allowed to sail with one of my fellow mates alone of our “own” Menhir. So steering time summated remarkably and even acting as bowman began to have its own beauty. I tried to show initiative and think along my captain: Being responsible for the jib to produce propulsion I actively and without orders adjusted sail trim. I did this constantly. Easing and luffing the sheets. During maneuvers like tacking and gybing I luffed of veered the jib accordingly and self-reliant. Which then naturally took some pressure from the then-skipper because handling the boat by controlling rudder and mainsheet is quite a bit of a job for a newcomer. Besides: It teaches a lot on trimming a sail, so use your time wisely when being bowman would be an essential hint too. 6. Talk about your Maneuvers. Human relations. *Sigh. You find it annoying at home when your partner doesn´t talk? Well, it´s the same underway in a boat. I often, when acting as bowman, didn´t know what my partner intended to do. Because he simply wouldn´t talk – he was so focused in getting all done right, he just forgot to tell me. So sitting there I had no chance but to react and anticipate. Often being somewhat surprised by sudden commands or even worse, by maneuvers without any commands at all. I was overrun from time to time, sometimes leading to confusing situations with unnecessary emotional reactions and possible frustration. So, please, when in charge of the ship, talk about your intentions: “I am going to round the white buoy right ahead on starboard, gybe and run before wind to the black buoy, luff and sail close hauled to the pier to have a smooth landing.” By briefing your crew you will kill two birds with one stone: You can process the while maneuver before your own eyes and be better prepared, your crew will know what to do and can prepare for themselves too and third – most important in my eyes – you will be able to run the ship as a team. Maneuvers will work out beautifully, less commands and corrections will be needed – which is of utter importance on examination day. 7. Think in advance 2 or 3 Maneuvers. Speaking of maneuvers: Here´s another one. I often asked the skipper-in being what he intended to do when he didn´t talked to me in the first place. Now and then he just appeared puzzled, mouth open, eyes wandering over the horizon, searching for words. Simply: He had no plan at all. Well, that´s not only disappointing because practical sailing time is precious, it simply won´t teach anything because you ought to have a plan when acting as skipper. Just imagine: Task is to bring the ship back along pier side. Wind is blowing from the direction of the jetty. Mmmh. What to do? What to do? What to … ? So, try to think ahead for the next 2 or 3 maneuvers: There´s the jetty I have to reach – wind is blowing from this direction – there´s a calm zone over there – so that means two tacks, bearing away shortly before the pier side, luffing and putting the ship in irons. Now that´s a plan. Thinking ahead, playing the maneuvers in front of your inner eye, be prepared. Prepare your crew. Envision your tacks, draw an imaginary course on the water, plot the ship´s way in your mind well ahead of acting. Because, thinking the maneuvers through whilst you execute them will just bring you into big trouble. Have been there, have seen it – believe me. 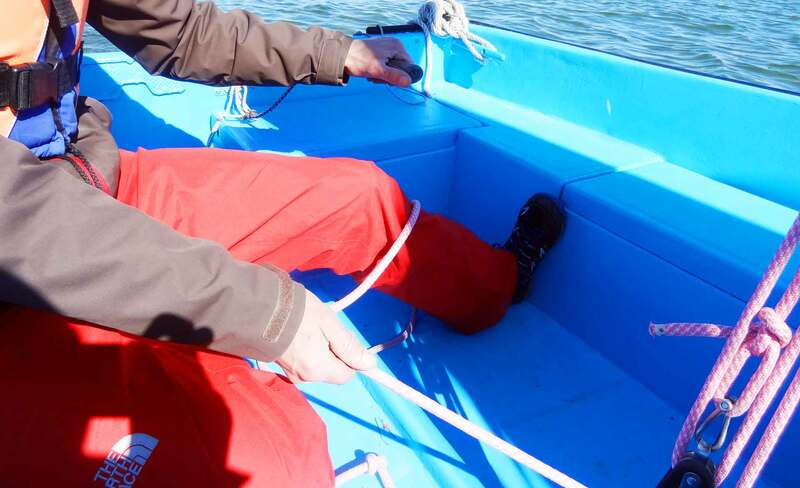 So, apart from being able to rig the ship properly, hoisting sails and controlling the boat´s movements when put into various angles to the wind, there are just three maneuvers essential for sailing a boat: The tack is one of them and tacking is considered to be the most executed of them all. This is what you might expect to practice as your first maneuver. Tacking is easy: By luffing the ship and bringing her bow through the wind you will haul in the main sheet, maybe back the jib when there´s too little speed (done by the bowman) and ease the sheets to have the ship close-hauled again on the other side. Easy. But there are certain things which can – and will – go wrong when starting from zero. First and without any further words let me refer to point 4: Be gentle on the rudder. Do the tack slowly and in a gentle manner. Second, when starting maneuver, have one hand steady on the helm, the other is down there right at the block ready to haul in the main sheet, and third don´t forget to have both rudder and main sheet handed over in your back whilst changing seating sides to upwind. Don´t spin around, don’t get entangled in all the sheets and watch your head! 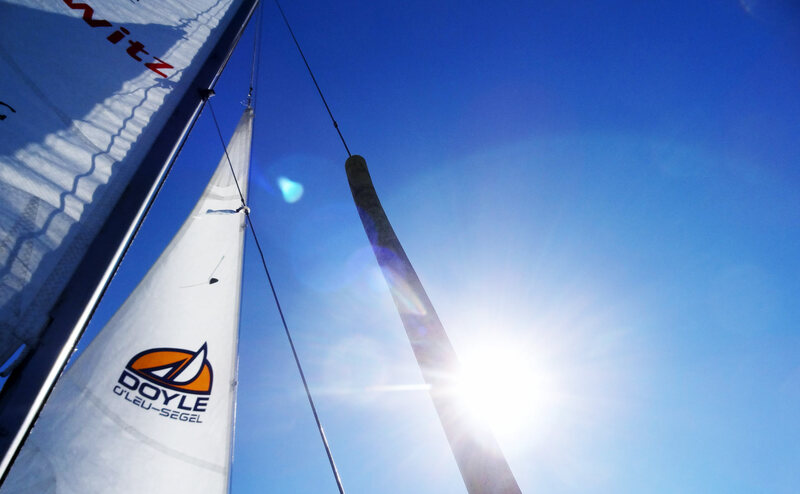 The gybe is considered more dangerous maneuver because running before wind and having the boom changing sides may produce huge forces induced into the mast or – the cause of so much accidents at sea – into the heads of fellow crewmen. But when executed neat and nicely gybing is fun and a convenient way to change course. 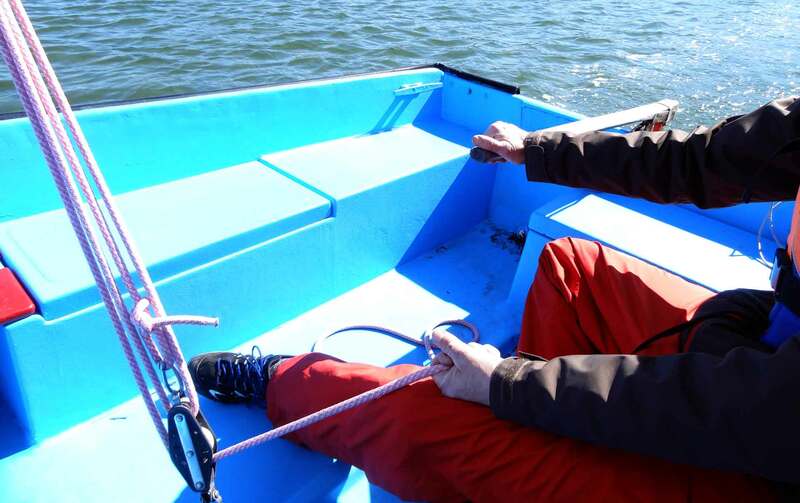 Here´s what I learned about the gybe: Learn to steer a perfect running before wind course when gybing. A yawl may have a small sail but it can produce an awful lot of power anyway. Leeting loose the Mainsheet when Gybing – Gybe-ho! Going about! A gybe should be executed in perfect teamwork, when the “Gybe-ho!” is announced keep your head low and be sure to have the boom put over to the other side safely. Gybing is a nice fun maneuver on a small yawl but will be done slightly different on much bigger yachts. There, when performed poorly by skipper and crew, it poses some dangerous elements and thus should be practiced a lot. In case of doubt: Opt for a tack (put the bow through the wind instead of the rear) – this is the much simpler and less dangerous maneuver. It just takes more time. Last but not least, after three days of practical sailing – or let´s put it this way: After having been in charge of the boats for some 18 hours – we practiced the MOB-maneuver. Essentially, it´s a big “8” drawn into the water by the wake of your ship. 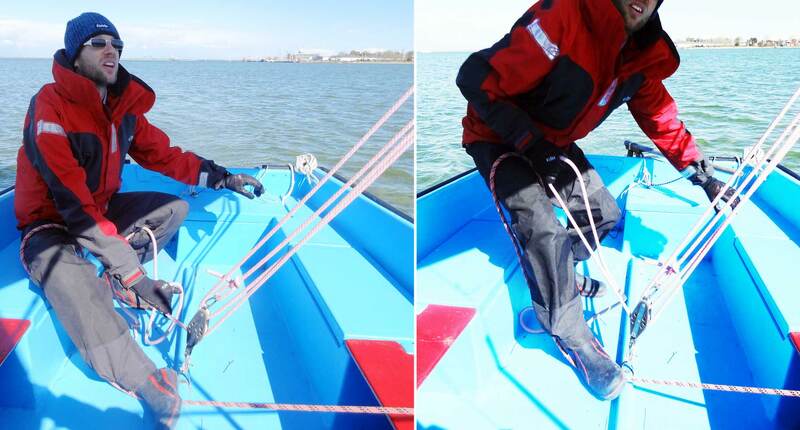 After the buoy, acting as the unfortunate crewmate, is sent over board, you will bear away immediately, gain some 4 to 5 boat lengths of distance by running on a broad reach, do a fast tacking maneuver by having the jibe backed too and perform the “8” (or a “Q”) on the new tack by beam reaching. Search for the buoy in the upwind sector and try to hold some two boat lengths distance. When the bow of the ship is directly in the height as the buoy, “veer away the sheets completely” and hard rudder in irons. 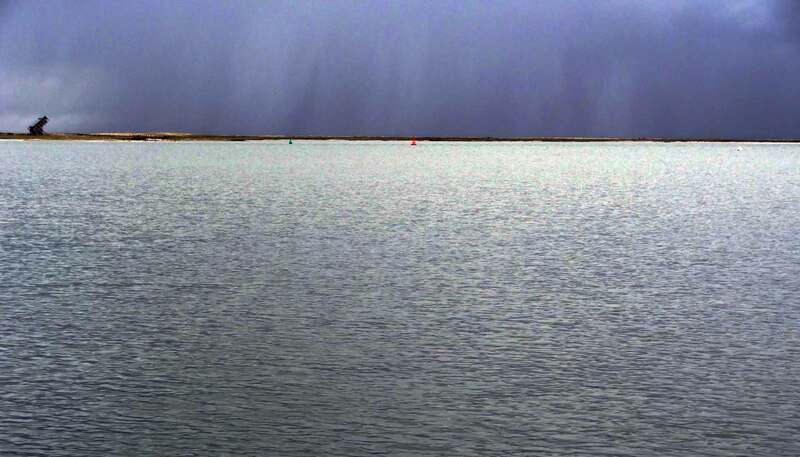 You should have the boat stopped right alongside the buoy to have her rescued. This maneuver is a bit complex at first and when taught theoretically can look intimidating, I know. But believe me: It´s pure fun! It´s fun because you do something. More than just tacking around and gybing for the umpteenth time. You have a mission to perform and can finally put your – admittedly small – treasure trove of experience to a real test: Rescue that poor drifting buoy. By the way, I love it to have it thrown overboard in the midst of a small talk, trialing my bowman. Most flaws observed (in myself): When bearing away after MOB the course steered is not producing the desired leeward room. After tacking again and putting the ship in irons I occasionally missed to have the buoy sighted right upwind. Too much speed: That´s a tricky one, bringing the ship to a complete standstill within a meter or so without running over the buoy. Which means constant practicing again. But anyway: MOB-maneuver is essential, should be practiced over and over again and besides – it´s real fun! After all, the some 270 Euros I did pay for the course have been invested wisely. Learning the essentials of sailing on a small yawl-like vessel, having the sheets sailed from the bare hands rather than from the winches helps to develop a certain feeling for the wind and a ship´s behavior. I would recommend anyone to start his or her sailing career with a basic course on a yawl. I was astonished how much I did learn in terms of my own sailing abilities in just 4 single Days! In the end, we didn’t change for storm sails like the others when winds got gusty again: Quite contrary – we loved to ride the Menhir faster, high upwind close hauled and have some “music in the hull”. 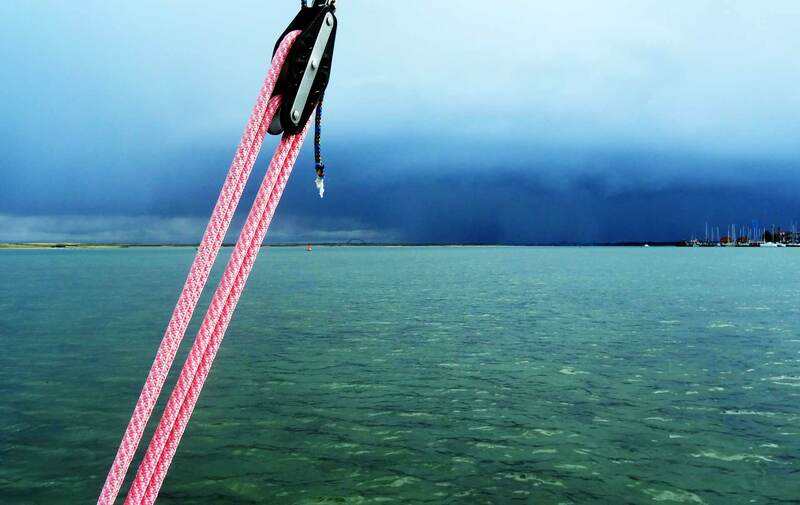 For me, it´s a 4-day offshore trip from Bremerhaven on a Class 40 Pogo on the next weekend labeled as heavy weather sailing course. Whilst looking forward so much to sailing on a yacht sized fast vessel like this, I certainly will hold contact to my Menhir-sailing school to have some more hours on this fun yawl and maybe attend one of their squadron cruises to nearby Island of Fehmarn. Why? Because a basic class won´t do and I am yearning to have more experience in having control of these wonderful small but lovely boats. Here´s an article on another wonderful, lovely small boat: A class Mini650 Pogo 2, sailed by Lizzy Foreman on her MiniTransat Race 2015. Very good hints and tips for the beginner! Previous Post	Marc Lombard and Charly Fernbach: French Sailing Philosophy.